Brickhampton Court Golf Complex was founded in 1994 by the Creed family. Set in 200 acres of rolling Gloucestershire countryside, Brickhampton Court comprises of two charming tree lined golf courses that over the years have matured and now provide a great test of both ability and strategy. Further complimenting the golf courses are a 28 bay floodlit driving range and practice putting green, along with excellent bar, restaurant and conferencing facilities. Brickhampton Court's Clubhouse Bar offers a relaxed and friendly atmosphere throughout the day. Whether you're entertaining friends or work colleagues, or just looking for that comfortable seat after a challenging game of golf. There is always a wide range of food available from our bar menu and a huge selection of drinks available at the bar. Overlooking the eighteenth green the patio is the perfect place to enjoy the sunshine, relax and unwind on those summer evenings with an ice cold drink and fabulous food. We also screen all the major sporting events throughout the year so you'll never miss out on any of the action. Brickhampton Court boasts Gloucestershire's finest driving range. 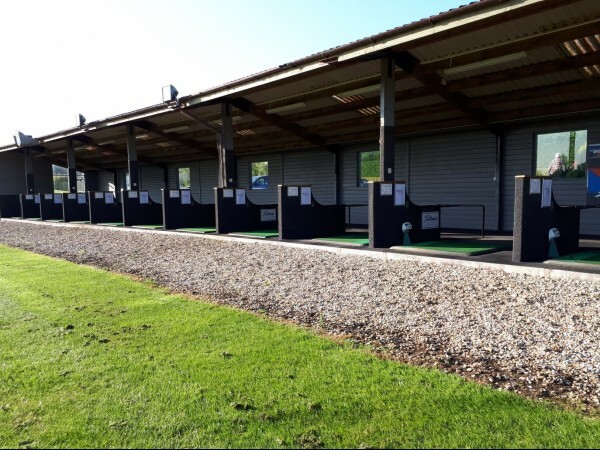 The driving range facilities feature 28 floodlit and fully carpeted bays, perfect for honing your skills or having a lesson from one of our experienced PGA Professionals. To further enhance your practice we have installed fifteen Power Tees, the number one automated ball teeing system for driving ranges. Also located within the driving range is a fully stocked shop, as well as comfortable lounge chairs with tables, allowing you to relax and enjoy a nice cup of coffee after your practice. 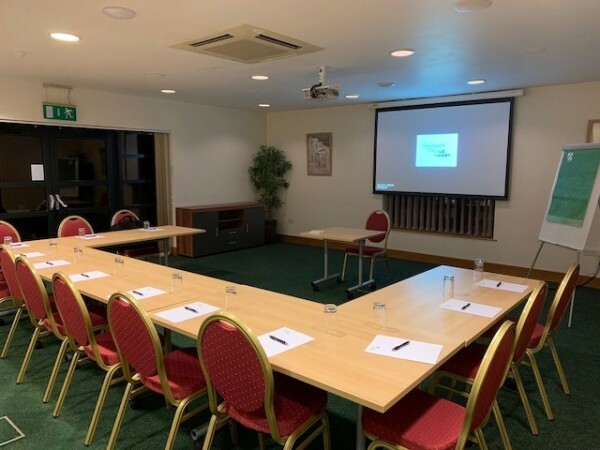 Set within the beautiful Gloucestershire countryside making for the perfect location for all your business needs, and all within easy reach of the motorway. We offer spacious facilities in relaxed surroundings suitable for conferences of all sizes. Our air-conditioned conference rooms benefit from natural daylight, disabled access and views across the golf course. Our experienced Events Team along with our friendly bar and catering staff are on hand throughout your event to ensure that everything runs smoothly and that you are well looked after.